A surgical companion textbook to the international medical bestseller "Davidson's Principles and Practice of Medicine". It is suitable for both the surgical student and trainee, guiding the reader through key core surgical topics which are encountered throughout an integrated medical curriculum as well as in subsequent clinical practice. 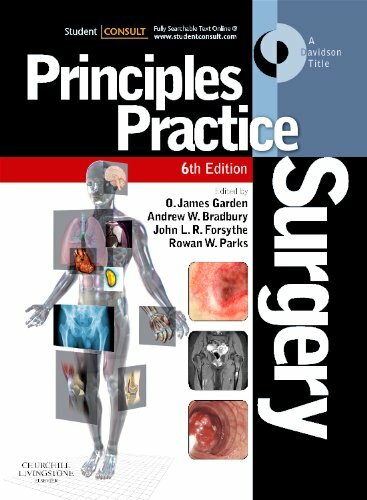 "Principles and Practice of Surgery" is the surgical companion textbook to the international medical bestseller "Davidson's Principles and Practice of Medicine". It is a comprehensive textbook for both the surgical student and trainee, guiding the reader through key core surgical topics which are encountered throughout an integrated medical curriculum as well as in subsequent clinical practice. Although sharing the same format and style as "Davidson's Principles and Practice of Medicine", this text is complete in itself, thus enabling the student to appreciate both the medical and surgical implications of diseases encountered in surgical wards.